Last weekend, Chetham’s students headed for the water on the first of many activity trips organised by the recreation team. 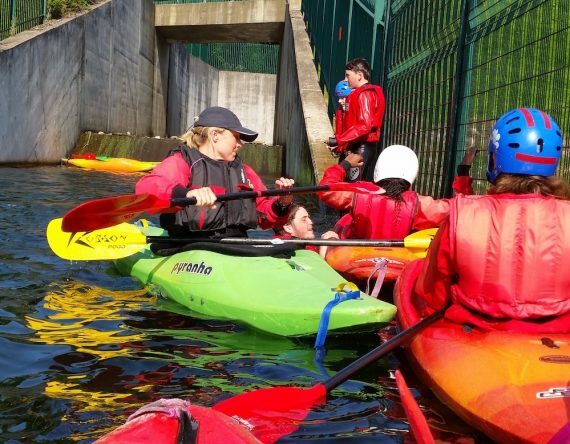 “We set off for the Debdale Outdoor Centre with Middle school and a few Sixth Formers. The best bit of the trip was when we all got a have a go on the instructor’s speed boat and jumped off afterwards. I also enjoyed the exercise when we would kayak to a certain point and then gradually get further into the river. Thanks to Tammy for sharing her photo from the day, and to Mrs Staszko for organising an inspiring programme of Sunday trips for students across the School.